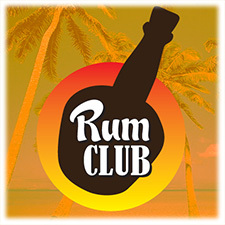 Contrary to my last posting, I’ve managed to get confirmation today and it appears as though next week’s Kanaloa Rum Club will in fact be held on Monday 8th August. Starting at 6pm, for a 7pm start, the evening will feature the excellent El Dorado Rum, presented by their UK Ambassador, Stefanie Holt. I’ve also been advised that Stefanie’s presentation will cover all of El Dorado’s rums from their 3 Year Old White Rum through to their aged 21 Year Old Sipping Rum, taking in their 5, 8, 12 and 15 Year Old Rums along the way. In addition, the Kanaloa Bar Team will also be working their magic to serve a number of El Dorado inspired cocktails during the evening. 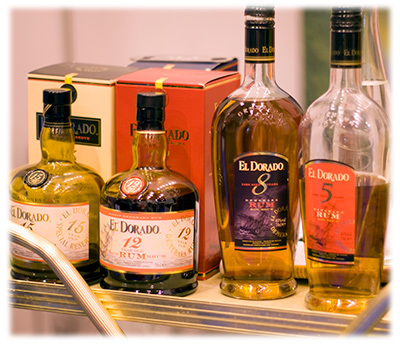 Owned by Demerara Distillers Limited, the El Dorado brand is synonymous with Guyanese Rum and the rum production heritage of this South American country. Still operating three unique wooden stills, which can be traced back over 200 years, the production of El Dorado Rum is a combination of modern and age-old techniques and includes the following rums. El Dorado 3 Year Old Rum – This white 3 Year Old Rum is perfect for mixing, as the base of many a cocktail, such as a Mojito or Daiquiri. El Dorado 5 Year Old Rum – This golden 5 Year Old Rum is complex enough to sip neat or over ice, yet light enough for a range of cocktails. El Dorado 8 Year Old Rum – A premium mixing rum or for sipping straight, this rum is perfect for all occasions. El Dorado 12 Year Old Rum – Light yet complex and certainly smooth, this is one of the finest examples of rum you are likely to try. El Dorado 15 Year Old Rum – Slightly more complex than its younger brother, the 15 Year Old certainly deserves the awards it has won over the years and is a sublime sipping rum. El Dorado 21 Year Old Rum – Some of the finest Demerara rums are specially selected and blended by the master distillers to produce this exquisite sipping rum.